The denim jumpsuits are a very common wardrobe element but also an extremely loved one by women from all over the world. Versatile and very chic, this piece of outfit is a transitory one that can be worn especially at the beginning of the autumn. Actually, a woman that enjoys wearing casual style outfits on a daily basis definitely has to have a denim jumpsuit into her wardrobe. It is important to find the best combination. 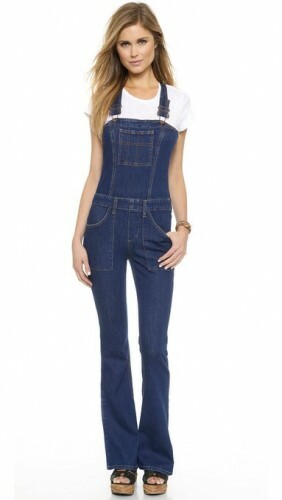 You can wear the denim jumpsuit with a simple sweater and a pair of flats. Or, you can try to combine it with a manly shirt and a college jacket which will result into a very chic outfit. This piece of clothing looks very well if you find the right combos for it which is very easy because it can be easily matched with other clothes. This applies to the accessories as well. And because we are talking about the fall, this season is quite chilly therefore it is important to take care of your health. And I am referring of course that you should protect yourself from cold. The denim jumpsuit allows you to create useful combinations that will help you against the bad weather. Over the jumpsuit you can add without worries a knitted sweater, a cardigan or even a coat. The layer clothing is easy to create and even more, it is actually a bonus if you are wearing a jumpsuit because it will help you keep warm around your waist. This type of jumpsuit is extremely versatile so you can wear it also when going out with your friends. Match it with a stylish top and a pair of platform sandals for an amazing effect. 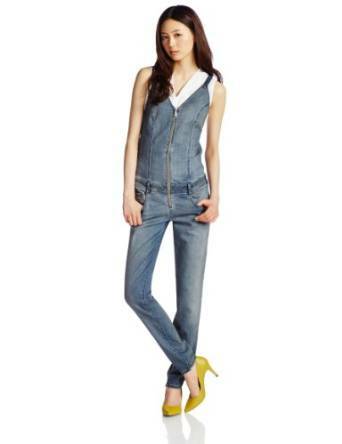 The denim jumpsuit can reflect your personal style no matter of what type of style we are talking about.